“Because I spend my days helping consumers, I get to see all too often “bad” customer service. I may even be jaded to expect that these days. And, since I spend my days blasting companies who don’t do the right thing, I think it’s important to shout it from the hilltops when I see a company or person doing something right. Hey they didn’t go hide like they would in most stores? Things like this bring customer service to another level; it actually makes it Red Hot Customer Service. Because it’s kicked it up another notch anyone within shouting or seeing distance will remember it and report it to their friends. Why, because the service is personal and no, it doesn’t have anything to do with food; it has to do with life. I went back to look at Trader Joe’s to see how closely it replicates the practices of other businesses. It started in the 50’s and was called Pronto Markets. 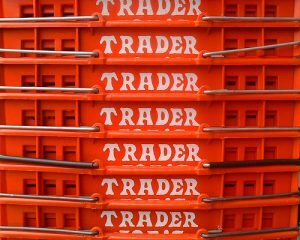 In 1967 their founder, Trader Joe, changed the name of the store to his name, yep, to Trader Joe’s. The store got bigger; cedar planks on the wall and everyone got a Hawaiian shirt to wear. More important they found ways to cut costs. First they state, “Value” is not a gimmick, it’s something to be taken seriously. How many times do businesses speak value and don’t define it . Once you define value, you can define your competitive advantage. Value is what makes you different, different is what builds your competitive advantage and a competitive advantage gets you more customers that impact your bottom line. Value makes money. Innovative, hard-go-find and great tasting foods are value . At Trader Joe’s, the foods are labeled under the name of the Trader Joe’s brand thus saving customers money. No clubs, no store cards and no hard hitting sales. What do they say is value? We buy direct from suppliers whenever possible, we bargain hard to get the best price, and then pass the savings on to you. This is a good motto for any business. If an item doesn’t pull its weight in our stores, it goes away to gangway for something else. Why keep dead stuff? Most grocers charge their suppliers fees for putting an item on the shelf. This results in higher prices… so we don’t do it. Do you charge for space? I bet you don’t so let your customers know. We keep our costs low — because every penny we save is a penny you save. Another great point. An interesting note to take from this is the practice of not charging shelf prices to their vendors. If the customer likes the product it stays, if it doesn’t sell it’s gone. Simple but smart concept. I like Trader Joe because it’s cute and different; doesn’t have everything I need but most anything I might want. Trader Joe’s makes the Red Hot Customer Service list for this week. Thanks Godzilla. Now that’s some great customer service. I agree, it is important to note great customer service, as it is very rare these days, and it might even inspire others to maybe, hopefully follow suit! We never forget great customer service.